A computer scientist is a person who has acquired the knowledge of computer science, the study of the theoretical foundations of information and computation and their application. Andrew Stuart Tanenbaum, sometimes referred to by the handle ast, is an American-Dutch computer scientist and professor emeritus of computer science at the Vrije Universiteit Amsterdam in the Netherlands. grep is a command-line utility for searching plain-text data sets for lines that match a regular expression. Its name comes from the ed command g/re/p, which has the same effect: doing a global search with the regular expression and printing all matching lines. 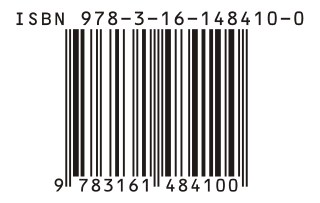 Grep was originally developed for the Unix operating system, but later available for all Unix-like systems and some others such as OS-9. Computer chess includes both hardware and software capable of playing chess. Computer chess provides opportunities for players to practice even in the absence of human opponents, and also provides opportunities for analysis, entertainment and training. Since around 2005, chess engines have been able to defeat even the strongest human players. Nevertheless, it is considered unlikely that computers will ever solve chess due to its computational complexity. The term netizen is a portmanteau of the words Internet and citizen as in "citizen of the net". It describes a person actively involved in online communities or the Internet in general. Henry Spencer is a Canadian computer programmer and space enthusiast. He wrote "regex", a widely used software library for regular expressions, and co-wrote C News, a Usenet server program. He also wrote The Ten Commandments for C Programmers. He is coauthor, with David Lawrence, of the book Managing Usenet. While working at the University of Toronto he ran the first active Usenet site outside the U.S., starting in 1981. His records from that period were eventually acquired by Google to provide an archive of Usenet in the 1980s. The USENIX Association is the Advanced Computing Systems Association. It was founded in 1975 under the name "Unix Users Group," focusing primarily on the study and development of Unix and similar systems. In June 1977, a lawyer from AT&T Corporation informed the group that they could not use the word UNIX as it was a trademark of Western Electric, which led to the change of name to USENIX. It has since grown into a respected organization among practitioners, developers, and researchers of computer operating systems more generally. Since its founding, it has published a technical journal entitled ;login:. Mary Ann Horton, formerly Mark R. Horton, is a Usenet and Internet pioneer. Horton contributed to Berkeley UNIX (BSD), including the vi editor and terminfo database, created the first email attachment tool uuencode, and led the growth of Usenet in the 1980s. In computer chess, a chess engine is a computer program that analyzes chess or chess variant positions, and generates a move or list of moves that it regards as strongest. A chess engine is usually a back end with a command-line interface with no graphics nor windowing. Engines are usually used with a front end, a windowed graphical user interface such as Chessbase or WinBoard that the user can interact with via a keyboard, mouse or touchscreen. This allows the user to play against multiple engines without learning a new user interface for each, and allows different engines to play against each other. World Computer Chess Championship (WCCC) is an annual event where computer chess engines compete against each other. The event is organized by the International Computer Games Association. It is often held in conjunction with the Computer Olympiad, a collection of computer tournaments for other board games. Barbara Liskov is an American computer scientist who is an Institute Professor at the Massachusetts Institute of Technology and Ford Professor of Engineering in its School of Engineering's electrical engineering and computer science department. She was one of the first women to be granted a doctorate in computer science in the United States and is a Turing Award winner who developed the Liskov substitution principle. The Berkeley Network, or Berknet, was an early local area network, developed at the University of California, Berkeley ca. 1979, primarily by Eric Schmidt as part of his master's thesis work. 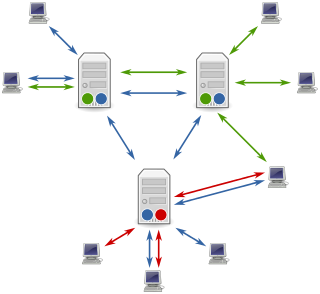 The network continuously connected about a dozen computers running Unix and provided email, file transfer, printing and remote command execution services to its users, and it connected the two other major networks in use at the time, the ARPANET and UUCPNET. Michael Frederick Hauben was an Internet theorist and author. He pioneered the study of the social impact of the Internet. Based on his interactive online research, in 1993 he coined the term and developed the concept of Netizen to describe an Internet user who actively contributes towards the development of the Net and acts as a citizen of the Net and of the world. Along with Ronda Hauben, he co-authored the 1997 book Netizens: On the History and Impact of Usenet and the Internet. Hauben's work is widely referenced in many scholarly articles and publications about the social impact of the Internet.